Our range of products include stainless steel 310 h chequered plate, stainless steel 304 chequered plate, stainless steel 309 s chequered plate, stainless steel 310 s chequered plate, stainless steel 316 chequered plate and stainless steel 316 ln chequered plate. A wide range of chequered plates is manufactured & supplied by our organization which is available in various surface finish patterns. Based on the requirements of diverse industries we provide this range of steel plates offered in various grades, thickness, width, length and surface finish. These plates are exclusively used in industrial production, decoration, civil construction and automobile industries. We offer a wide range of Chequered Plates which are made of premium quality Stainless Steel 304 Chequered Plate. Based on the requirements of various industries we deliver this range in a variety of surface finish patterns. With a variety in the grades, thickness, width, length and surface finish these plates are used in industrial production, decoration, civil construction and automobiles. Our offered range of stainless steel chequered plates is available in a variety of surface finish patterns. Based on the requirements of the industries these products are offered in various grades, thickness, width, length and surface finish. 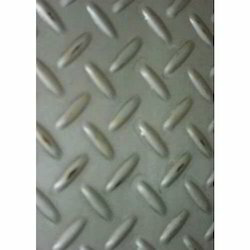 The stainless steel plates are used in industrial production, decoration, civil construction and automobile industries. We are engaged in manufacturing & supplying a broad spectrum of steel chequeded plates which consists of optimum quality stainless steel. Based on the requirements of varied surface finishes these plates are offered in various grades, thickness, width, length and surface finish. The stainless steel plates are used in industrial production, decoration, civil construction and automobile. 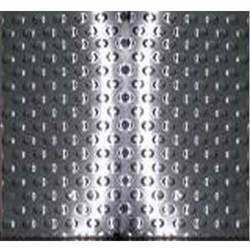 We are known for providing a wide variety of Stainless Steel 316 Chequered Plates. They are fabricated from best available technology and are offered in a variety of surface finish patterns. 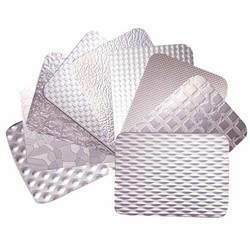 They are always tested on different quality parameters and are used in various applications based on the requirements of varied surface finishes These SS chequered plates are known for long lives, optimum performance and are offered in various grades, thickness, width, length, surface finish, etc. They are made available at industry leading rates and are used in industrial production, decoration, civil construction, automobile, etc. 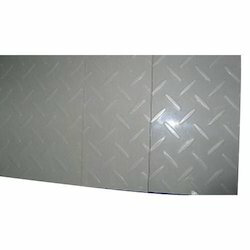 We provide a unique range of Stainless Steel 347 H Chequered Plate which is manufactured using premium grade of raw material. These are applicable in many industrial areas and are widely appreciated for corrosion resistance, optimum quality, high performance and easy maintenance. We supply these Stainless Steel 347 H Chequered Plates after complete quality checking under certain parameters to our valuable clients. 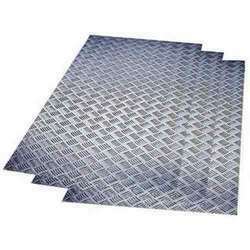 Our offered range of steel chequered plates is made of superior quality stainless steel of grade 304H. 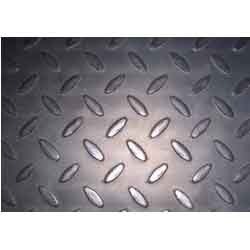 Based on the varied requirements of various diverse industries these steel plates are offered in various grades, thickness, width, length and surface finish. The stainless steel plates are used in industrial production, decoration, civil construction and automobile sectors. 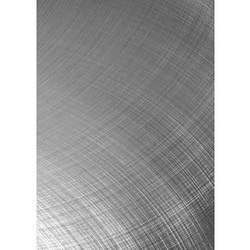 We are acclaimed for offering different kinds of Stainless Steel 316 TI Chequered Plates in different sizes, shapes, specifications and a variety of surface finish patterns. Stainless checker plates are tested on numerous quality parameters and are utilized in various applications based on the desired and important requirements of varied surface finishes. Further, these are known for long lives, optimum performance and are being offered in various grades, thickness, width, length, surface finish, etc. They are offered at completely economical rates and are used in industrial production, decoration, civil construction, automobile, etc. We have expertise in manufacturing a broad range of stainless steel chequered plates which is available in a variety of surface finish patterns. Based on the industrial requirements these plates are offered in various grades, thickness, width, length and surface finish. Apart from the stainless steel alloy, we also provide plates of duplex steel, carbon steel, nickel and copper alloys. We offer our clients a distinguished range of Stainless Steel 321 H Chequered Plate that are manufactured by extreme grade of raw material. 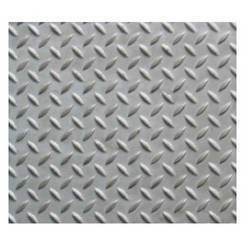 These Stainless Steel 321 H Chequered Plates are used in various kinds of industrial fittings. We supply these Stainless Steel 321 H Chequered Plates after complete quality checking under certain parameters to our valuable clients. Looking for Stainless Steel Chequered Plate ?